Whether you're learning about Greek mythology or you just love Leela, this female Cyclops mask is the perfect fit for you. 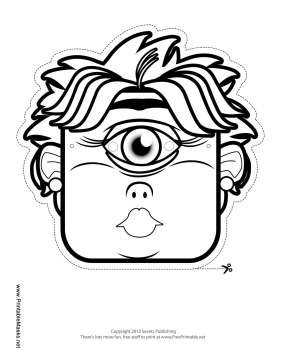 You can color in her eye, hair, earrings, and lips to match your own! This mask is free to download and print.